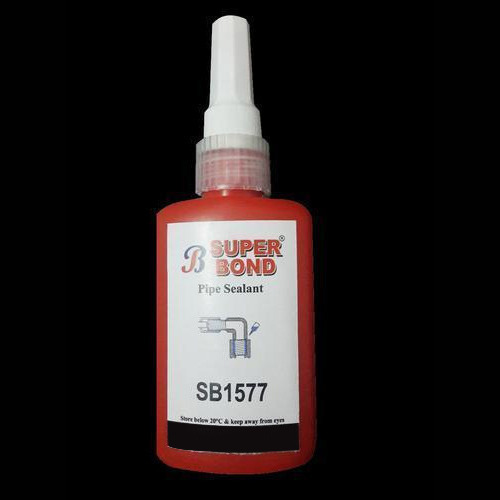 Owing to our expertise in this field, our firm is engaged in supplying an extensive array of Pipe Sealant Anaerobic Adhesive Glue to our clients. Established in the year 2015, Aman International is one of the reputed companies engaged in Manufacturing, Exporting, Importing and Trading of Tapes and Glue. Our qualitative range of products includes Cyanoacrylate Adhesives, Stationery Glues, Teflon Tape, PTFE Tape, Masking Tape, Anaerobic Adhesive Glue, Synthetic Gum, BOPP Tape and much more. Our range is widely appreciated for their excellent strength, recyclable nature, perfect finish, high load bearing capacity and is widely used for various industrial purposes. Under the Brand name Qfix and Super Bond, these products are available in customized shapes and sizes to leave no place for grievances by esteemed clientele. Our effective marketing strategy, the decade of experience and client centric approach has also assisted us in catering to the needs of a wide clientele in the market. As a result, our products have found a great demand in the market by several patrons across the nation.